Upcoming National Holidays in El Salvador in April 2019. 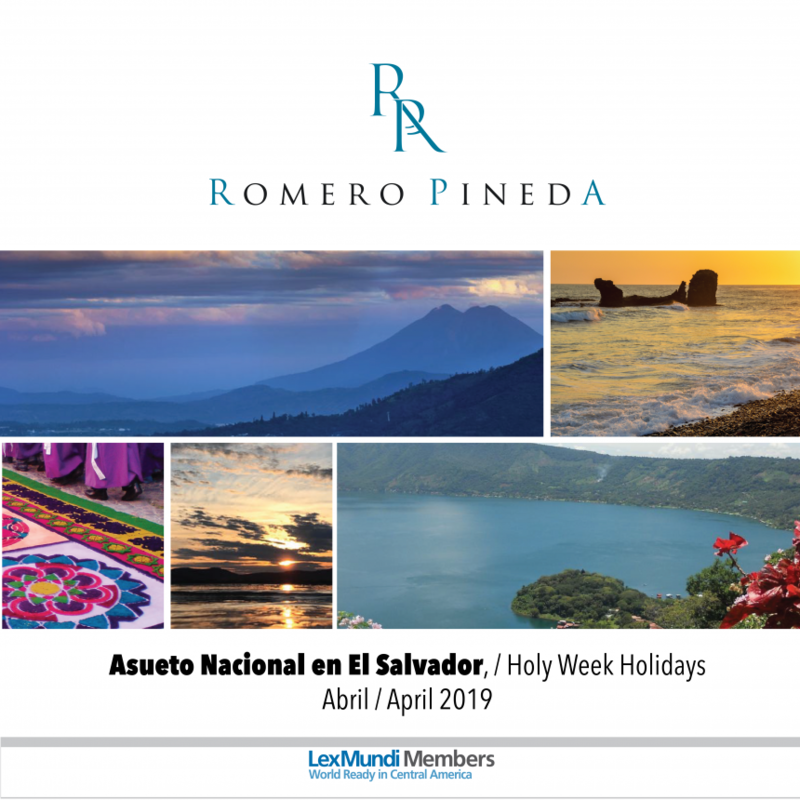 ROMERO PINEDA & ASOCIADOS reminds you that in accordance with Article 190 of the Labor Code, the Maundy Thursday, Good Friday and Holy Saturday are established as paid days off; and being the Holy Week a movable holiday, the dates may change from year to year. For this year, such paid days off will be April 18, 19 and 20. These paid days off are applicable to the employees of the public and private sectors excluding outworkers and workers whose wages have been stipulated by commission or by piecework, adjusted or fixed price. In case these paid days off coincide and are included within the vacation period stipulated for the workplace, they will not extend the duration of said holidays. Employees working during the referred holidays must receive an extraordinary wage composed of the regular wage plus an extra charge of 100%. Also, if they work overtime or work a night shift, the calculation for the payment of extra charges will be based on the aforementioned extraordinary salary. For additional information, please feel free to contact Beatriz Merino, Associate/ Coordinator of the Labor Unit at (503) 2505-5555 or email bmerino@romeropineda.com.